“How long will my phone’s battery last while running your app?” This is a common question from our customers and the answer depends on several factors, including phone model, battery size, and how you use the phone. Phones can burn lots of battery power trying to find cell, data, WiFi, and Bluetooth signals. If you’re in a place with poor or no network coverage, phones work even harder sniffing out those signals. So turn off the signals you don’t need. Turn on Airplane Mode. This mode usually disables all the receivers on your Android device, except the GPS signal. But double-check all the phone's settings to make sure extra signals are turned off. We have recently seen some Android phones that leave WiFi on when in Airplane Mode. 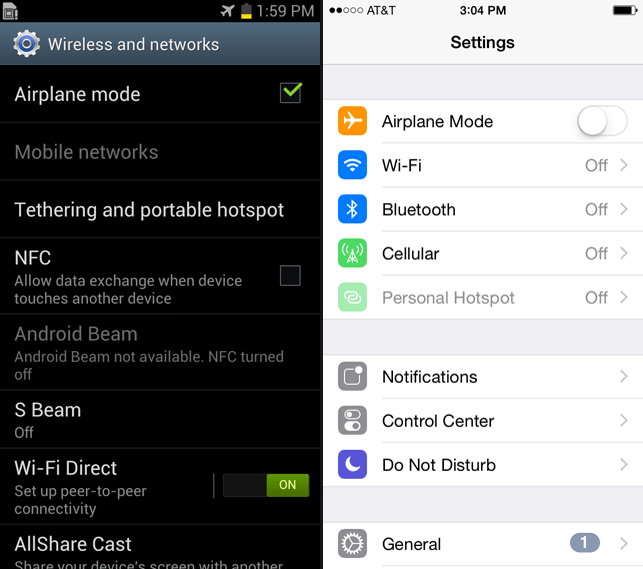 Be aware that Airplane Mode on Apple devices shuts off the GPS receiver. Instead, go to the Settings page and turn off Wifi, Bluetooth, and Cellular signals. This keeps the GPS receiver on, so the TNP App can pinpoint your GPS location. Each app running on your device uses precious power. Exit or kill as many apps as possible, especially social media apps or other GPS-enabled apps which can be big power suckers. 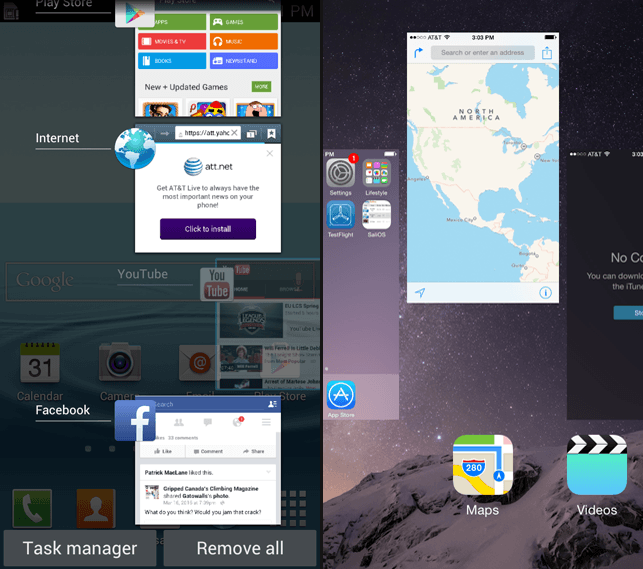 To shutdown other apps, long-press the Home button and swipe right to close apps running in the background. 1) Double-press the Home button and swipe up to close other apps. 2) Check out what apps access Location Services on a regular basis. Go to the Settings page, select Privacy, and tap Location Services. Scroll down and select Never to shut down GPS tracking for other apps. 3) See what apps run or refresh content while in the Background. Go to Settings, select General, and hit Background App Refresh. Turn off apps you don't want running in the Background. Screen time burns battery power. Use the auto-lock feature on your mobile device to set the amount of time that elapses before the device locks or turns off the display. 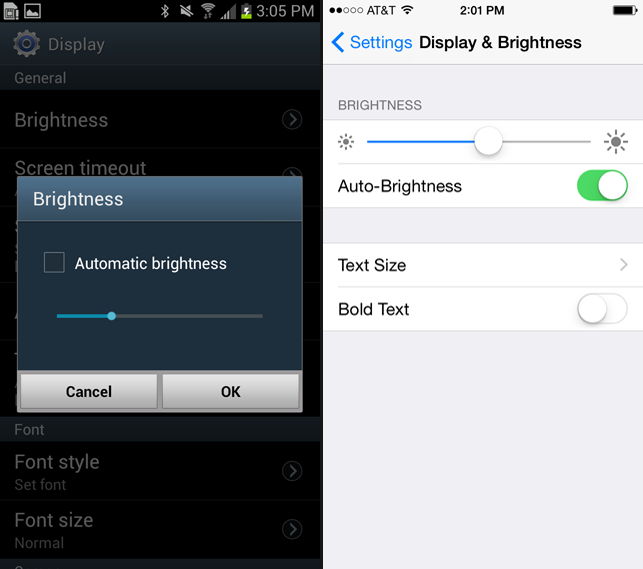 In addition, dim the screen or turn on auto-brightness to extend battery life. Store maps on your device then you don’t need a data connection to load maps into the TNP Mobile App. Here’s how: Before you leave town, launch the TNP app and go to the Map Packs section. Then create a Custom Map Pack to download the desired area. In addition, “only download the maps you need for your trip,” says our engineering manager. Fewer map files stored on a device means less processing time needed for the app to find and load maps. For example, if you only need two counties of maps for your trip, only download those two counties - not the whole state. Our engineers have done a lot to optimize battery usage within the TNP Mobile App. However recording a track does require the app to pinpoint your location at constant intervals (usually every 10 feet for the best track data). If you don’t need a track for your trip, don’t record one. Instead, drop waypoints at important locations and only record a track in tricky scenarios (when off-trail, in a whiteout, etc.). Our field testers typically carry an extra battery pack for longer trips. Lately, they have been juicing up with the Strong Volt Powerbank Mini and Jackery Mini. Both battery packs are light enough to take into the backcountry and powerful enough to charge most smartphones at least 1.5 times.